ART STEVENSON & HIGH WATER is Wisconsin's best-known bluegrass show, and has been in demand throughout the Midwest festival circuit since 1993. The band's bluegrass sound comes from the close duet singing of husband and wife team Art and Stephanie Stevenson, along with the spirited banjo and Dobro playing of Dale Reichert, and the hard-driving mandolin picking of Bruce King. They have release seven albums, Twilight, being the latest. High Water's music is heard on bluegrass radio programs around the USA and has received critical acclaim in the magazines Bluegrass Unlimited and Bluegrass Now. Recording artist James King and country music historian Bill Malone agree that Art and Stephanie Stevenson rank among the best duet singers active today. High Water's repertoire is taken from many sources: the bluegrass classics of Bill Monroe and the Stanley Brothers, early country music, mountain songs, and new material. Their blend of traditional bluegrass numbers, originals, contemporary songs, and instrumentals satisfies a wide range of music lovers! Art, Stephanie, and Dale have each written songs or instrumentals frequently performed by the band. The band's mission is to preserve the hard-driving traditional bluegrass sound, while including material from other musical styles. Art and Stephanie's singing, Dale's banjo instrumentals, Bruce's tasteful mandolin, and Art's harmonica tunes always bring a rousing response from the audience. 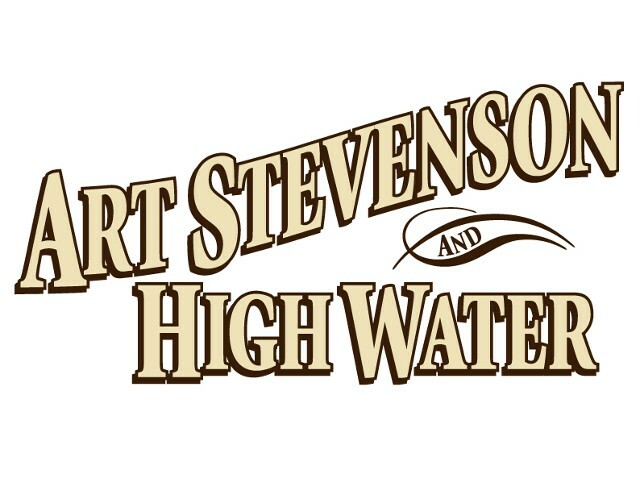 Be sure to watch for Art Stevenson & High Water at a festival or venue near you!